What is the right amount? Eight times your income? Ten times your income? Twenty times your income? If you’ve ever wondered how much life insurance you need, it’s important to remember that there is no one-size-fits-all approach. Each person or family has a different level of need based on income, family size, assets, health or age. While considering life insurance options isn’t always at the top of the to-do list, it is one of the most important decisions you will make. There are many factors that impact the amount of life insurance you choose. Think about current and future financial plans to help you figure out how much coverage will meet your needs. How many family members and dependents do I have? What is my current cost of living (bills, tuitions, savings, car notes, etc.)? How much longer do I have on my mortgage? How much is in savings? How much can I afford to set aside to protect my family’s future? Knowing your monthly income and expenses gives you a clear picture of your financial position and what would need to be replaced should you no longer be there to provide it. In essence, you are replacing your biggest financial asset: yourself. Reviewing your current finances should also reveal how much you can comfortably set aside for your family’s future. How big do I expect my family to be? How much of my children’s schooling do I plan on paying for? How much longer am I going to be working/when do I plan to retire? What about my spouse? What monthly expenses will I have? How much longer will I be supporting dependents? If you are younger, your life insurance needs will increase over time. Think about what the next 10-20 years may hold­ – a growing family, a bigger home, school expenses for your children, job changes, and more. As you get older, the amount of life insurance you need may decrease. As you pay off mortgages and car notes, your children move out and you move into retirement, you may have fewer expenses. But, after retiring, you may also have less income, so it’s important to begin to think about these things together when planning for the life insurance you buy today. You should re-evaluate your life insurance policy at important milestones like marriage or the birth of a child, but don’t forget that life insurance is also dependent upon health and age. The younger and healthier you are, the better ratings you can get on your life insurance policies. Buying as much life insurance as you can comfortably afford early in your life can have its benefits. With the right policy, you can appreciate low premiums from buying at an early age for coverage that can last a lifetime. So, How Much Life Insurance Do I Need? After taking stock of your current and future finances, you may have an idea of the amount you need. But, you also need to spend time questioning the future. If something happened today, what would your family’s life look like tomorrow? If you weren’t there to provide income, would the mortgage get paid? Would your children be able to go to college? Would your spouse be able to enjoy retirement like the two of you planned? As difficult as it may be to think about these questions, it is even more difficult for your loved ones you haven’t planned for their financial future. Answering the question, “How much life insurance do I need?” is all about balancing where you are and where you are going. 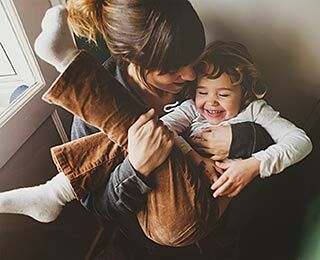 To see how age affects your life insurance needs, check out this Guide to Getting Life Insurance at Every Stage of Life. Or, if you want to find out more about how to protect your family’s financial future, learn more about the Types of Life Insurance.